PLEASE NOTE: ONE ORDER OF THIS PRODUCT WILL CONTAIN 1-GALLON CAN. AfterShock is an EPA-registered antimicrobial coating designed to kill residual mold and mildew remaining after precleaning contaminated surfaces. 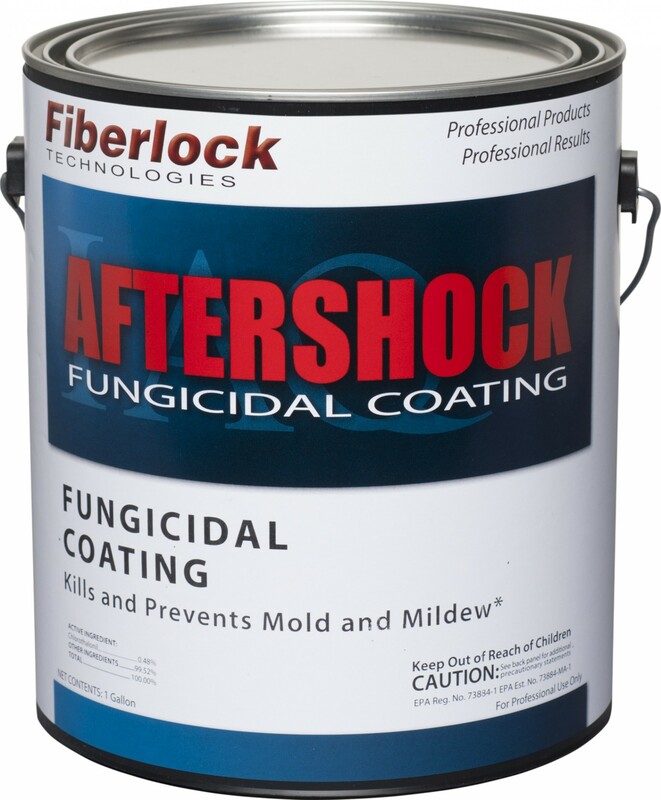 AfterShock also inhibits the future growth and spread of mold and mildew on the cured film surface in residential and institutional buildings. This extremely durable, easy to apply, 100% acrylic sealant offers the ultimate in durability in combination with excellent fungicidal characteristics to address mold growth from water damage. AfterShock is recommended for use on interior wall surfaces such as plaster, wallboard, drywall, concrete, masonry block, wood, primed metal and galavanized metal. AfterShock is also recommended for use on interior wood framing, primed metal, concrete, and wallboard inside the wall cavity. Do not use for HVAC system applications.